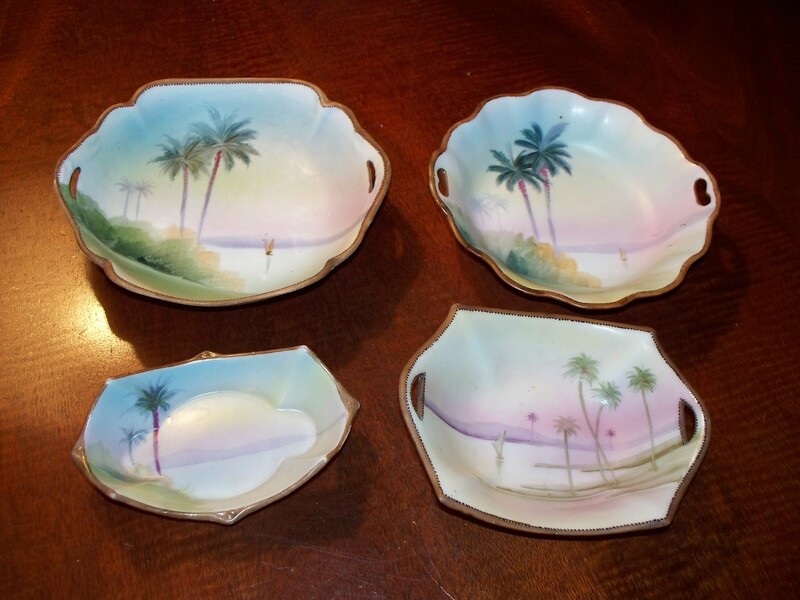 There are a number of Nippon pieces decorated with desert scenes. 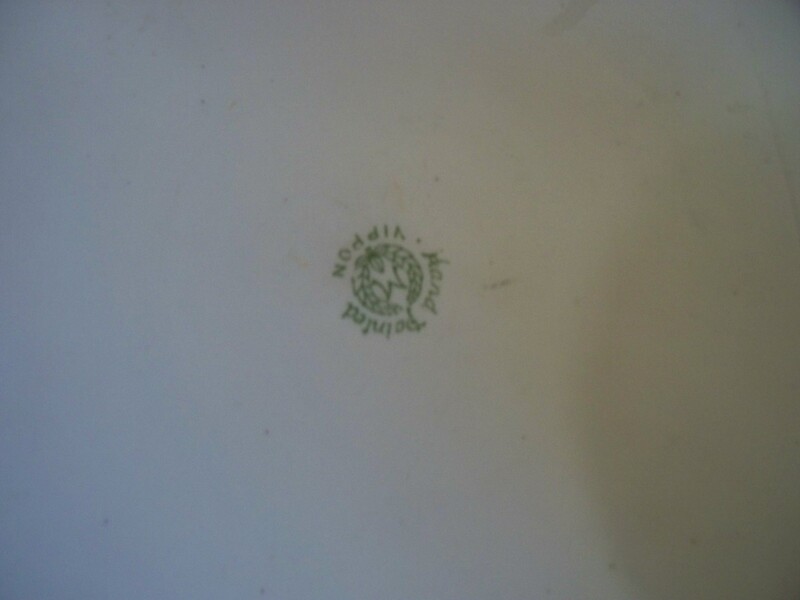 This seems to be a popular and highly collectible motif at this time. 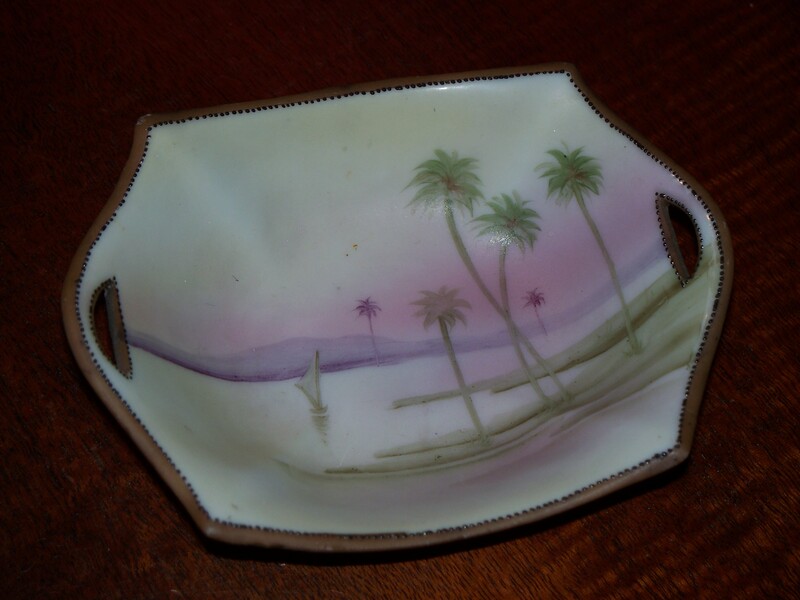 The pieces found feature palm trees, Bedouin tents, mosques and other buildings, and Arabs on camels. Some of the Middle Eastern men are found wrapped in a long white robes with a hood that is called a jalabijya. Most of these scenes are realistic looking. 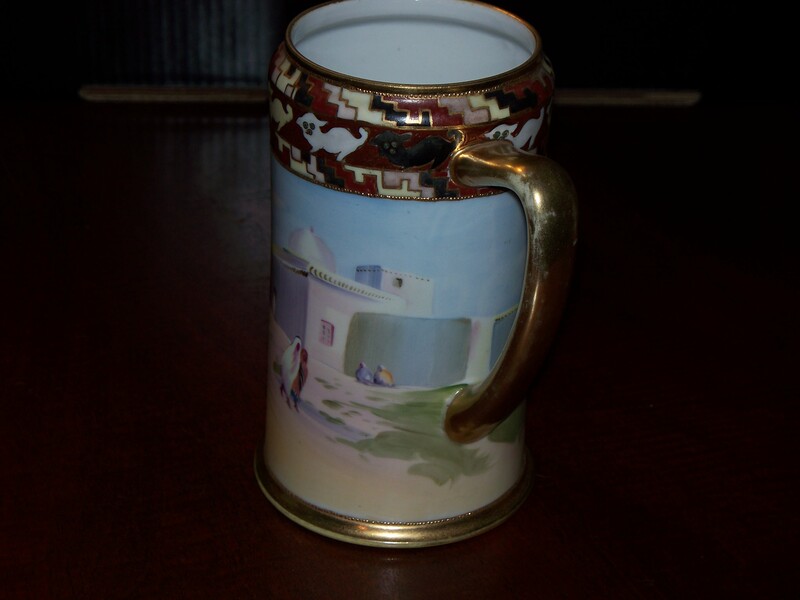 A beautiful Nippon Stein with Desert Scene. Maker’s mark #47. 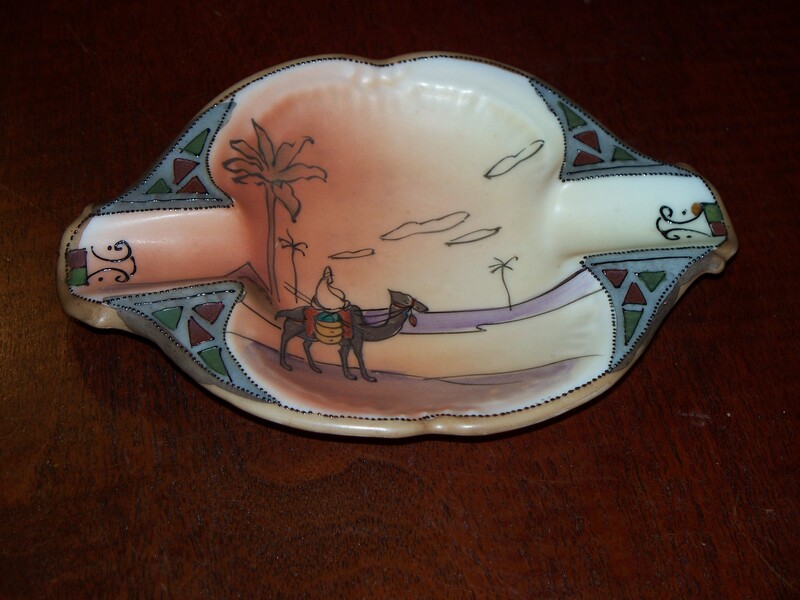 A very nice Camel Rider, Nippon ashtray with the Makers’ mark #47. 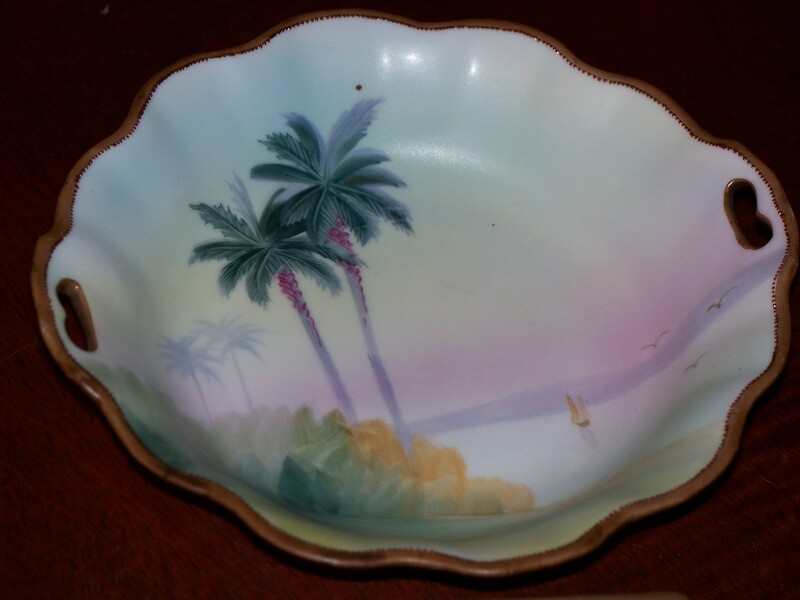 Palm Trees on the Oasis, marked with the Maker’s mark #47. 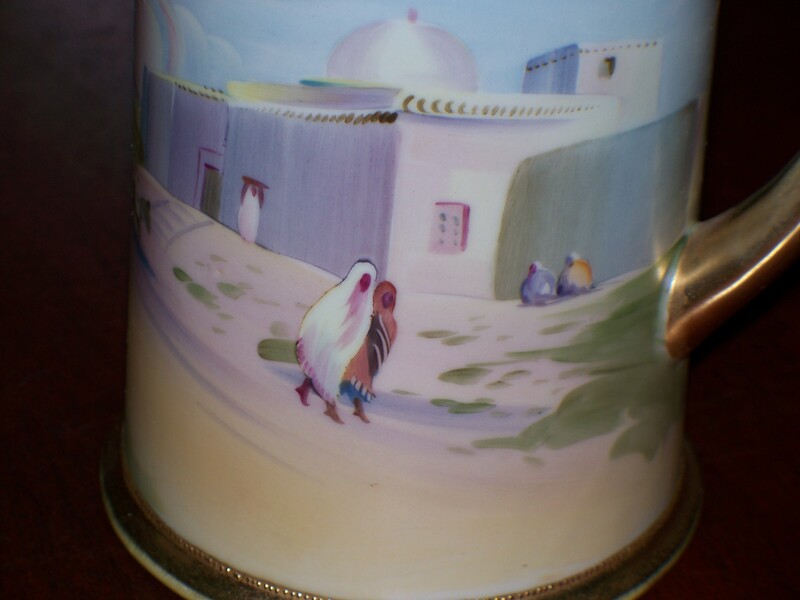 The Arab/Desert scene vases seem to command the highest prices. 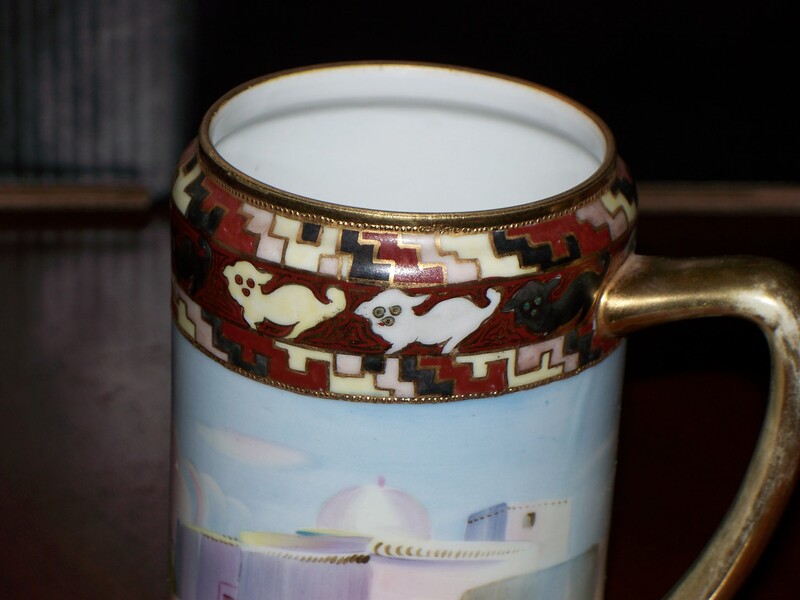 A recent auction of a particularly nice camel rider urn 16″H sold for over $2000.00. Just put your cursor on my assistant “The Duck” in the upper right hand corner of this post and press enter.